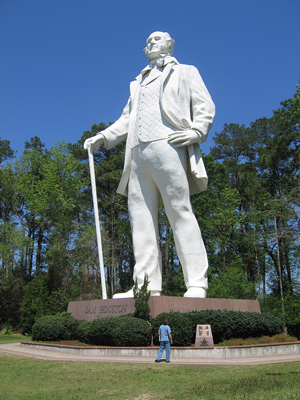 During a recent 10-week stay in Texas, I found myself more deeply immersed in the food and lore of the Lone Star State than I ever had been before in my many previous trips to the land of oil wells, 10-gallon hats, Longhorn cattle and football, lots of football. Anyone who's worked for Aramco and lived in Saudi Arabia understands the extensive influence Texans have had over the past 80 years on the company and its culture. I cite as one example my favorite comfort food, chicken-fried steak. First, a few words about the history of chicken fried steak. Aramcons from Texas may have to fight it out with their Aramcon cousins from Oklahoma to decide whose state deserves the title of birthplace of this classic American dish. A strong argument can be made for either side. In order to keep peace in the family, I'll give both states credit and let others decide whether to divide that credit equally or ascribe a higher percentage to one side and a lower percentage to the other. Culinary historians agree that the recipe's origins date from the 19th century American west and, more specifically, to the bordering states of Oklahoma and Texas. According to one version of the story I've read, settlers from Oklahoma brought their recipes for breaded fried chicken with them to Texas, where Texans modified it to apply to beef. An alternate version of the story I've read claims that colonies of German-speaking settlers in Texas dating as far back as its days under Spanish and Mexican rule brought with them from their old country recipes for the Austrian dish Wiener Schnitzel and adapted it to conditions in their new homeland. Both arguments have merit, and I'll leave it to others to decide which of the two (if either) is correct—or more correct if one chooses to equivocate. Consisting of a cutlet of tenderized cube steak coated with seasoned flour and then pan-fried, chicken-fried steak unquestionably resembles Wiener Schnitzel. In the United States, it has long been a staple of Southern cuisine along with such dishes as black-eyed peas, grits, hushpuppies, chitlins, and candied yams. Although I grew up in Northern California, I learned to love chicken-fried steak at an early age. But I really learned to love this dish when I moved to Saudi Arabia in the mid-'70s. Some of you readers will no doubt remember the chicken-fried steak served in the Abqaiq Dining Hall back then. Prepared by Saudi cooks tutored in the art by Aramcon gourmands from Texas and Oklahoma, that CFS was a dining delight I always looked forward to. Even now, my mouth waters when I think of it. Maybe it was the exotic circumstances, maybe it was the memories of home and my youth it evoked, maybe it was something else. But whatever it was, chicken-fried steak from the Abqaiq kitchen remains to this day my standard of excellence for what I would otherwise consider a quintessential American dish. On a recent stay at a La Quinta Inn in Huntsville, Texas, I unexpectedly discovered the Bandera Grill, a local Tex-Mex restaurant whose CFS brought back to life my memories of the dish as it was prepared and served back in the Kingdom. I was tired from a lot of driving that day, and the Bandera Grill, a 100-yard walk from the hotel, was an easy choice for me for dinner. 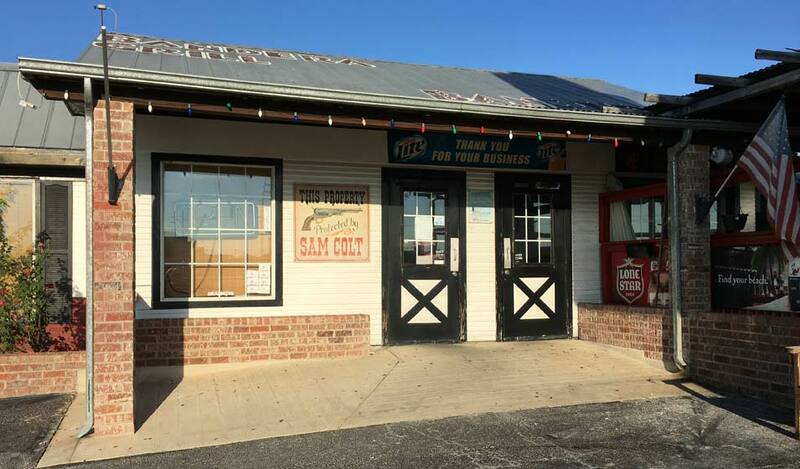 A sign on the front of the restaurant claimed that their chicken-fried steak had been voted "best" for nine years in a row (voted best by whom it didn't say). That decided my choice of meal, and I was delighted with the plate I was served. It consisted of enough perfectly-breaded, tenderest-of-tender cube steak to feed two of me smothered in a smooth and creamy white gravy seasoned just right with salt and pepper. From first bite to last, I was in comfort food heaven. Two nights later I returned for a second helping of CFS and was every bit as pleased with the results. Visits to hole-in-the-wall, off-the-radar eateries like the Pandera Grill tend to turn whimsical and ephemeral in memory with the passing of time. Were I to return to Huntsville say five years from now and order their CFS, would I be as delighted by the fare as I just was? Possibly not. But then again, maybe so. I should like to hope so. Encounters like these are one of the reasons why I enjoy traveling by car over the back roads of America. Whenever possible, I avoid visits to fast-food or national chain restaurants and try to stop and dine at a local eatery that offers something different. Often it's the food and friendly service; sometimes it's the ambiance and the colorful denizens one meets in such places; sometimes it's all of the above and more. In the case of the Bandera Grill, it was all of the above and more wrapped into one. In addition to the food, I was especially impressed by the friendliness of the wait staff, many of them students at Sam Houston State University in town working their way through school. My high opinion of the Bandera Grill apparently is not shared by visitors to the website TripAdvisors.com whose reviewers rate the Bandera Grill #46 among 90 restaurants in Huntsville, behind such culinary stalwarts as Taco Bell, Domino's Pizza, IHOP, and Golden Corral. Based on that terrible injustice, I may never again believe any restaurant review I read on TripAdvisors.com. 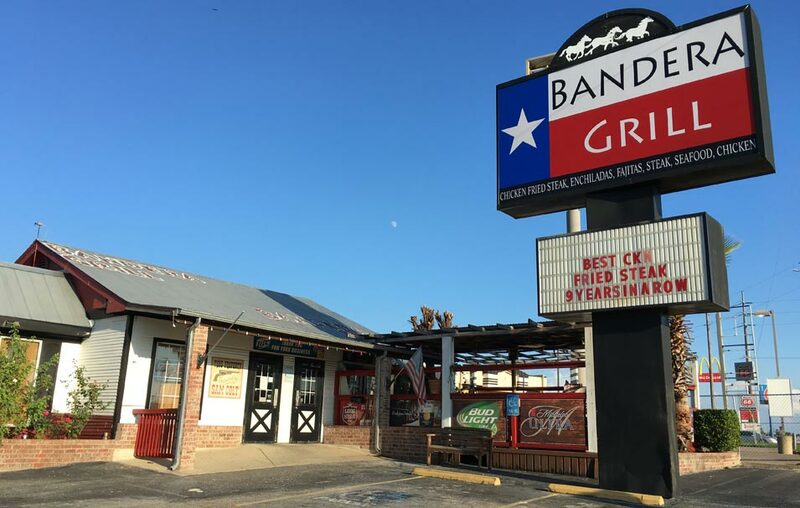 I expect to be spending much of my time over the next few years in Texas, and I plan to visit as many off-the-beaten-path restaurants like the Bandera Grill as I possibly can. 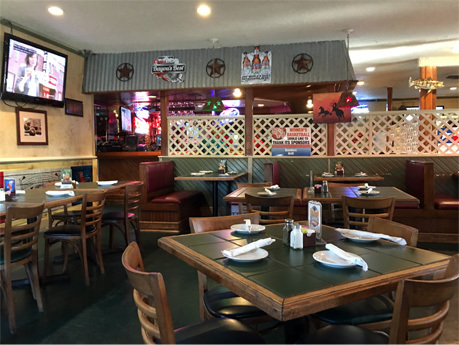 In preparation for my next Lone Star culinary excursion, I invite suggestions from any readers from Texas who have their own favorite restaurant that nobody outside a chosen circle of locals knows exists. Send me your recommendation and I will hopefully have a chance to dine with you there and together with you write a review of your chosen establishment. But be warned, if I do, the outside world might discover it too and you'll have trouble finding seating at dinner time on your next visit because dozens of fellow Aramons will have gotten there first. Such is the proven influence and power of this newsletter (just kidding, unfortunately)! Maybe on my next drive through Colorado, I'll stop and try their interpretation of CFS. 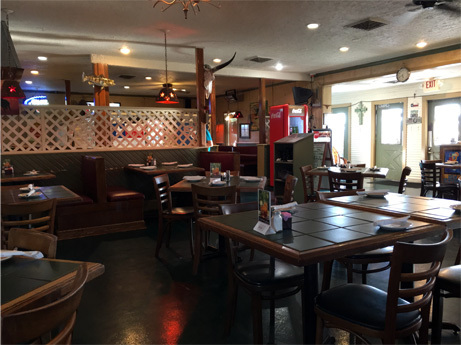 For the moment, I'll just luxuriate in my fond memories of what is now my favorite restaurant in Huntsville, Texas.